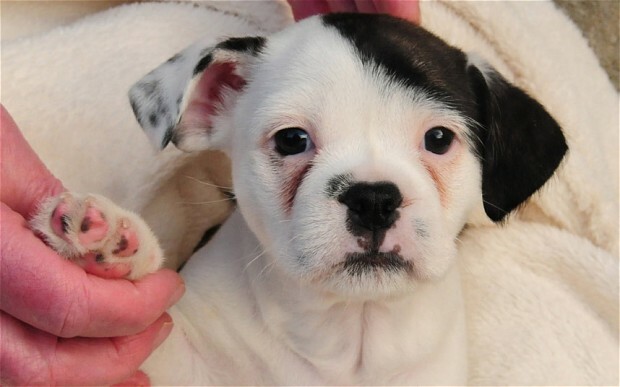 This is Patch, the puppy that looks like Hitler. 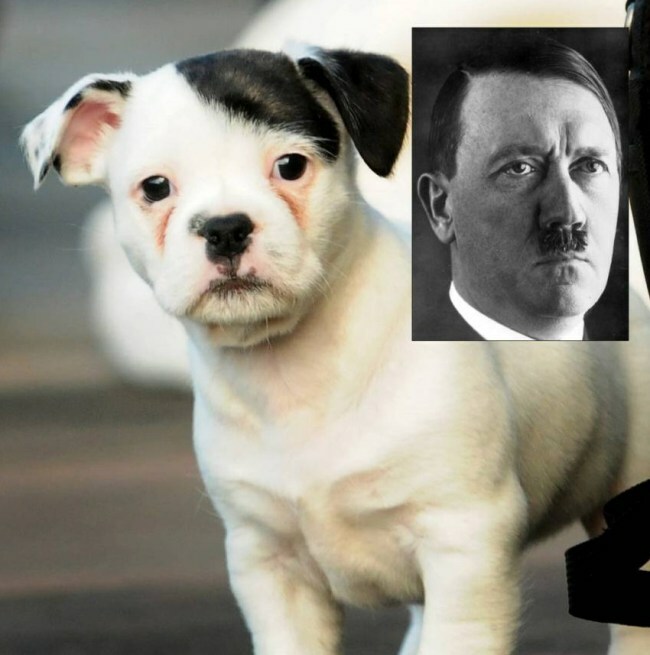 If they hadn't have included the hitler pic, and took the pic at a slightly different angle, this dog wouldn't look like hitler, but I'm guessing there's dog versions of everybody out there if you look hard enough. Aww, they even lifted his paw up so it slightly resembles a salute. According to the telegraph, he'll only answer to 'adolf' or 'hitler' thesedays. I wonder what stormfront make of this dog. Btw, click the telegraph link to see pics of a hitler goldfish and a kittler, although they do point out that a bottle of lotion also resembles hitler. World's gone bleedin' mad. I can see the resemblance! The black combover of his ear & black mustasche...Not to mention the eyes are set kinda the same way. The whole thread or my attempt at a stupid joke? He invented the dual vibrating buttplug. Also the self-lubing dildoe. He's a world's hero! @gh0ster why do you have to gay everything up? The Pit already has nazi kittehs... trust me, keeping Patch out of there is a good thing. Current time: 04-20-2019, 08:06 AM Powered By MyBB, © 2002-2019 MyBB Group.